HOONLYUN is truly an authentic taekwondo magazine. 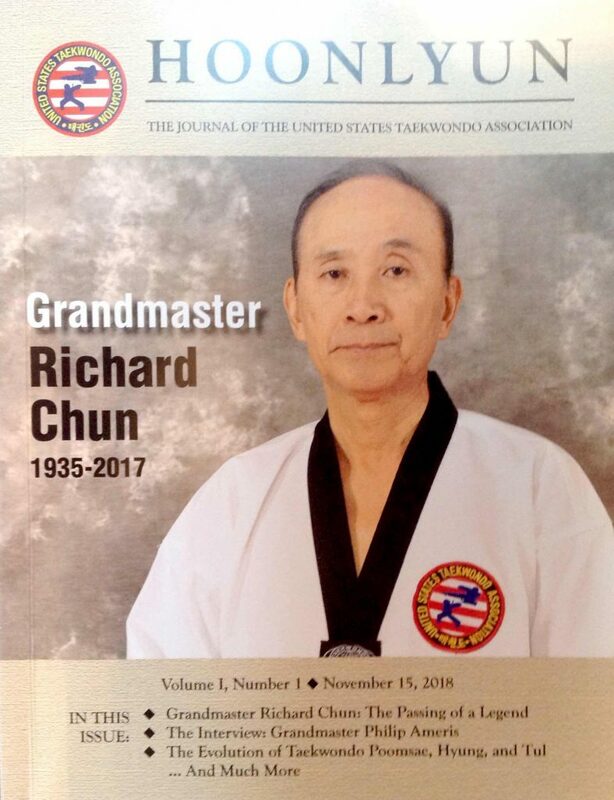 Volume 1, Number 1-November 15, 2018- Begins with an tribute to the late Grandmaster Richard Chun, founder of the United States Taekwondo Association (USTA). The article is titled: GRANDMASTER RICHARD CHUN: THE PASSING OF A LEGEND -Written By Grandmaster Doug Cook, 7th Dan. The article pays tribute to the late Grandmaster Chun, his life and contributions to Taekwondo and to the lives of countless others. The magazine is filled with articles whose contributers share years of wisdom and technical profession in the art of taekwondo. The magazine transcends taekwondo regardless of style or affiliation thus uniting taekwondo practitioners as one. The last article is titled BOOK REVIEW- Written by Jake Garett, 4th Dan Master: The article encourages taekwondo practitioners to further enhance their knowledge of taekwondo thus fulfilling the primary mission of the USTA: to promote the traditional and evolving art of taekwondo. Thank you Grandmaster Doug Cook for your magazine, Thank you Mary Sudul, 3rd Dan-Editor-in-Chief for putting together such a comprehensive magazine, Last but not least Thank you Grandmaster Rhin Moon Richard Chun. Let us not remember how he passed but how he lived.